Do you have fond memories of visiting your grandad's farm when you were a kid? I bet as soon as you got there you'd run off on your own to go exploring. You'd happily spend hours climbing over his rusty, old farm equipment and poking around in the dusty corners of his many sheds. Your favorite shed of all was the wooden, weather-beaten one with the big, rusty, old padlock on the door, right down the bottom of the farm. You tried asking grandad if he'd unlock it for you so you could see inside, but he always changed the subject. Of course, this only made you even more curious. You'd sit up on the rusty, red tractor and just stare longingly at the shed. You'd imagine all sorts of strange and wonderful things that were probably hidden there. Mysterious and magical things. If only you could see inside. 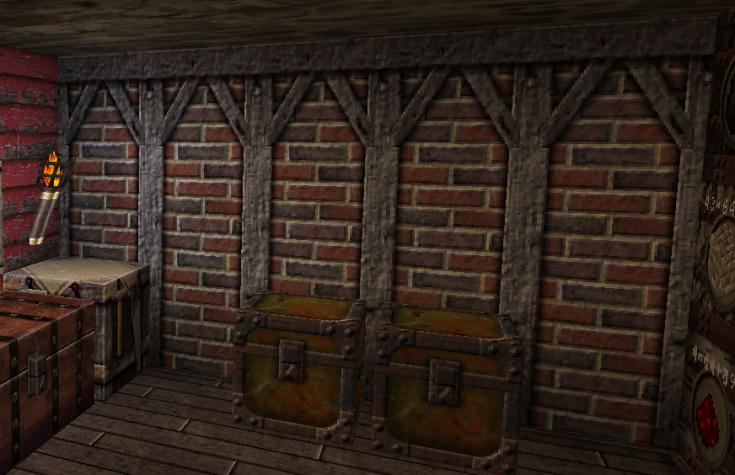 Most of the textures in Battered Old Stuff will look a lot like the things you found in your grandad's shed. Rusty, faded, knocked around, and made of weathered old wood or metal. You'll often find switches, knobs, analogue gauges, and bits of old brass on them. And even bakelite (do you remember bakelite?). If you are using a Mincraft version earlier than 1.5 you will need to install Optifine or McPatcher. For all later versions I highly recommend installing McPatcher or Optifine. 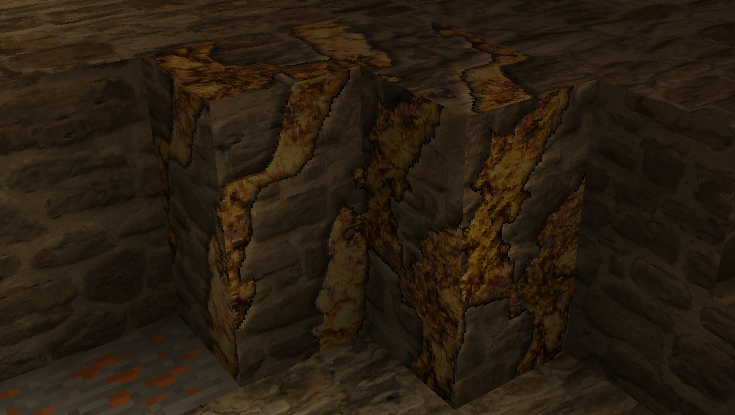 Battered Old Stuff includes a lot of Connected Textures and you need McPatcher or Optifine in order to see them. 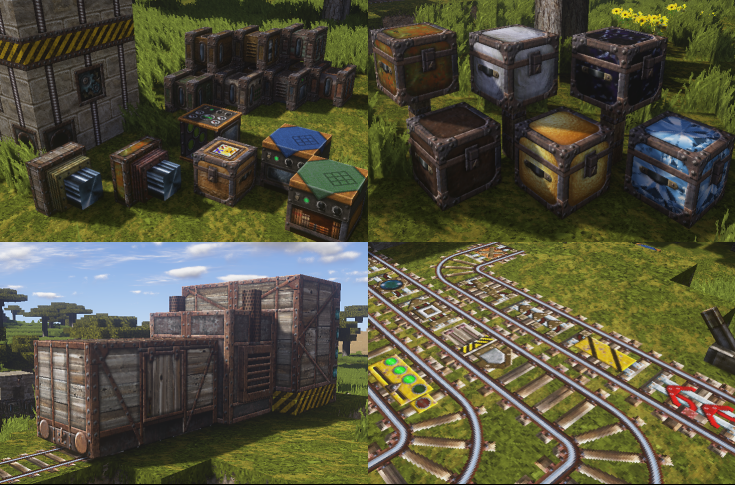 You'll find screenshots for the new bits as I add them in the Changes sections below. And there's a section for fan-created additions to Battered Old Stuff below that. 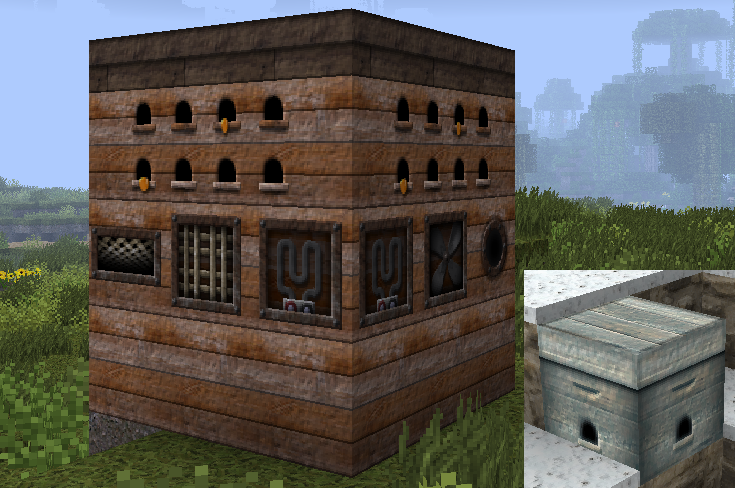 None of the new 1.13 textures, yet. The connected textures won't work until Optifine for 1.13 is released. 1-Jan-18: New version for Minecraft 1.12... Happy New Year! 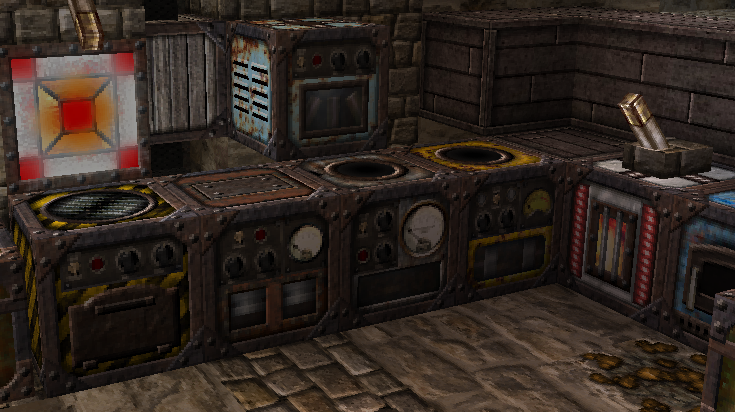 - finally added gui textures for the Furnace! 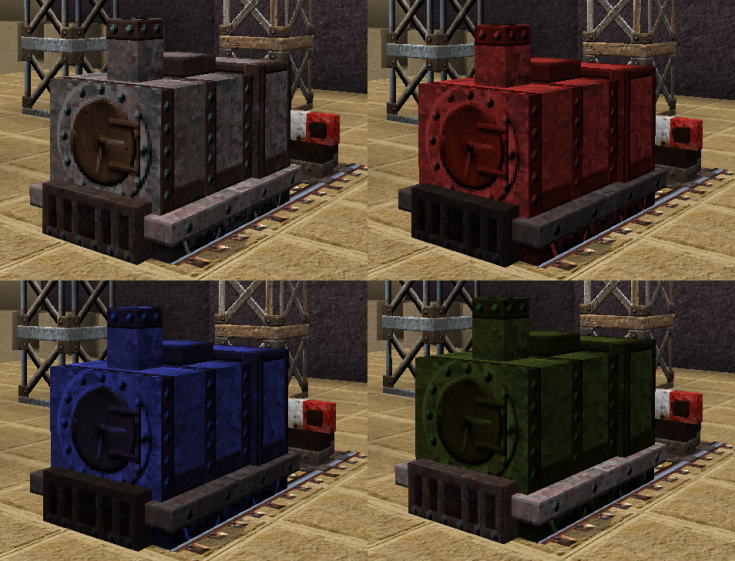 - quick fix to show the new ores (just vanilla textures, for now). With Larch Planks and microblocks, now you can build that fence at the back of your property to stop your livstock falling into the ravine! Try it out and please let me know what you think. Any and all comments appreciated. 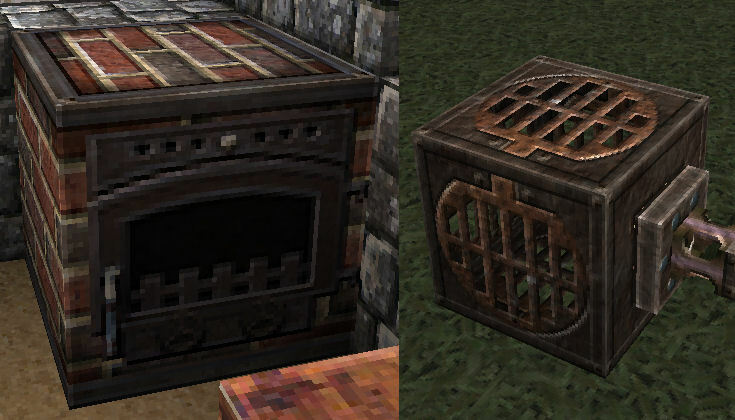 Note: It also includes some Thaumcraft and Better Storage changes that haven't made it into the other versions, yet. 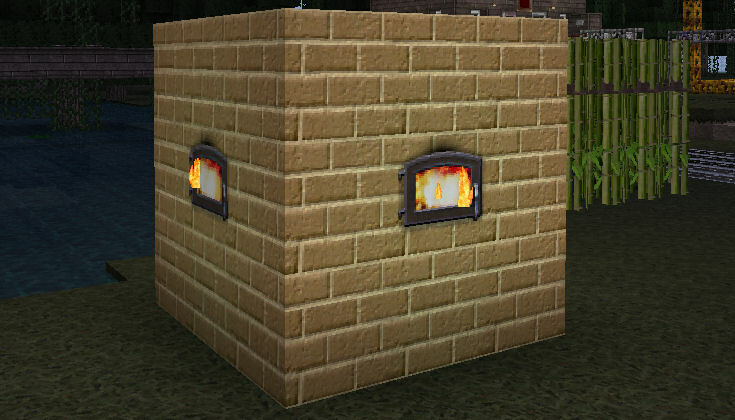 Added the Biomes O' Plenty CTM textures to the 32x 1.5 & 1.6 versions. Added the 12-Sep-13 changes to the 32x 1.5 & 1.6 versions. 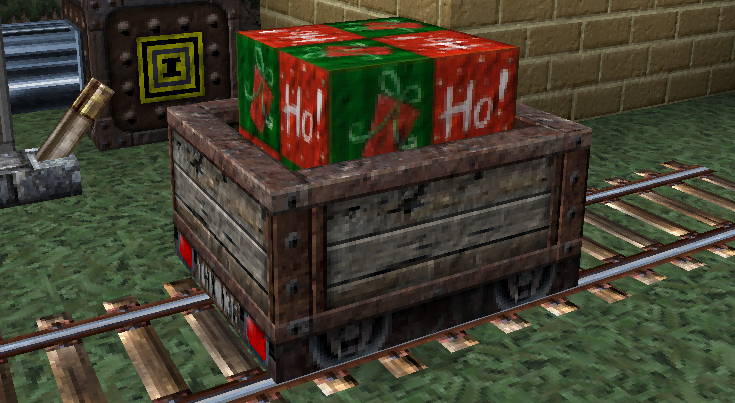 Another update to fix Coal ore textures in 64x versions. Lo siento mucho. 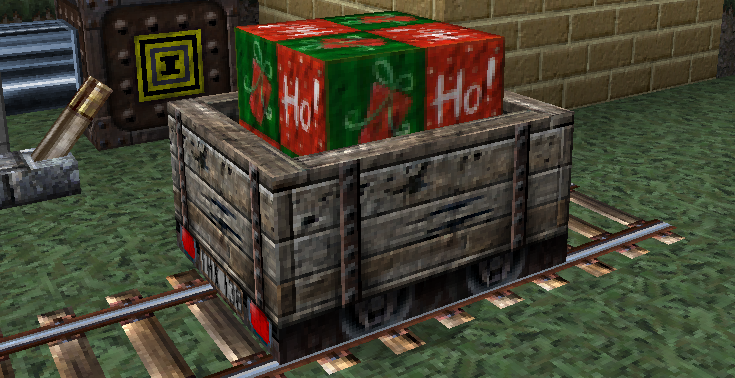 Quick update to fix Coal ore textures in 64x versions. 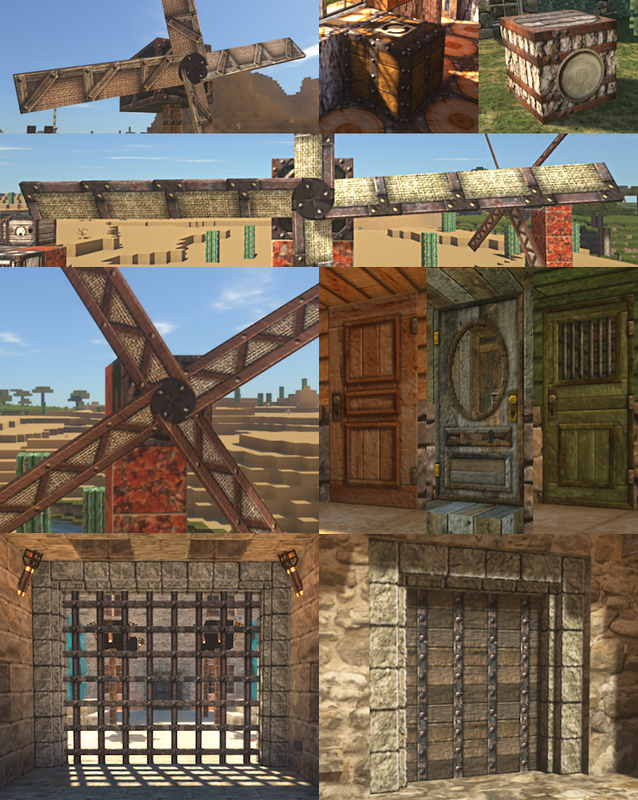 All mod textures in 1.6 version moved to correct directories. 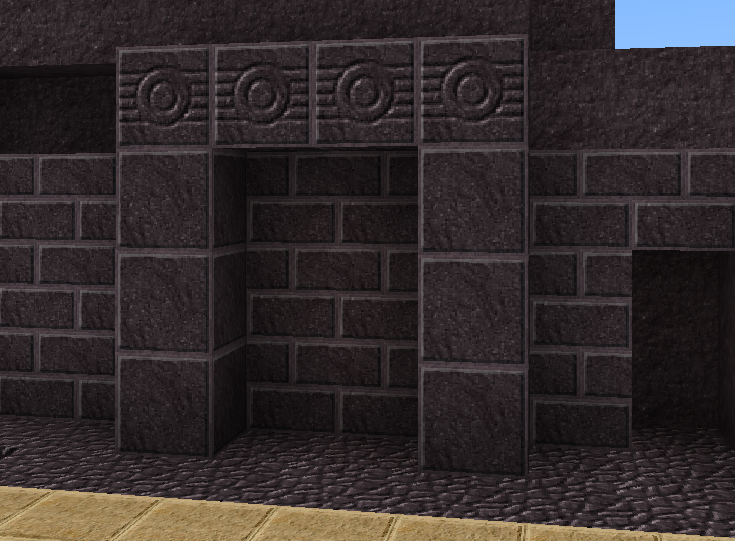 Quick update to fix the Nether Portal textures in the 64x 1.5 version. Not a big update, I know. 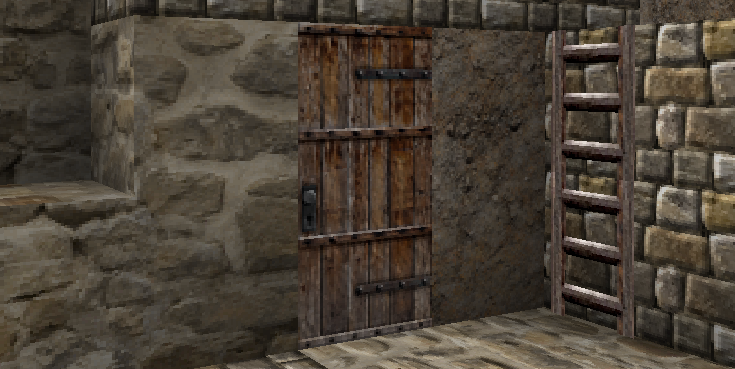 Just fixing/adding some vanilla textures. 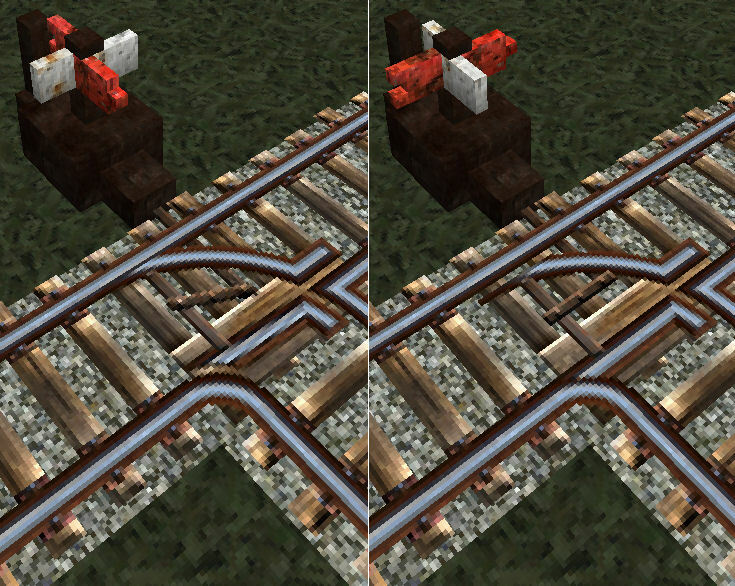 Quick update to fix reversed Wye tracks in 64x version. 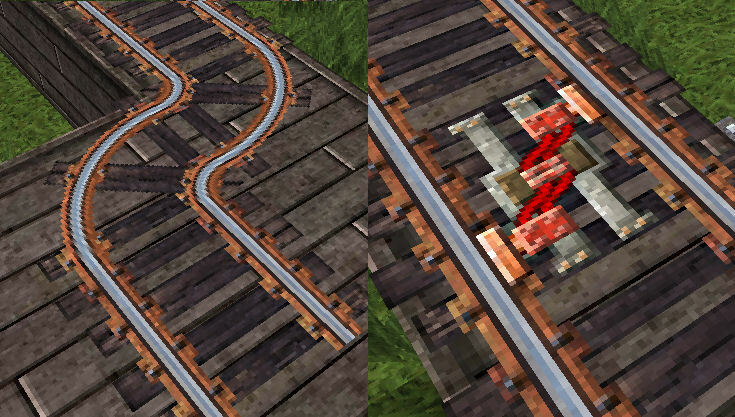 Quick update to support RailCraft 6.16. No new textures. I left the default Minecraft textures out of the previous 64x version. That's why the pine trees have no leaves! 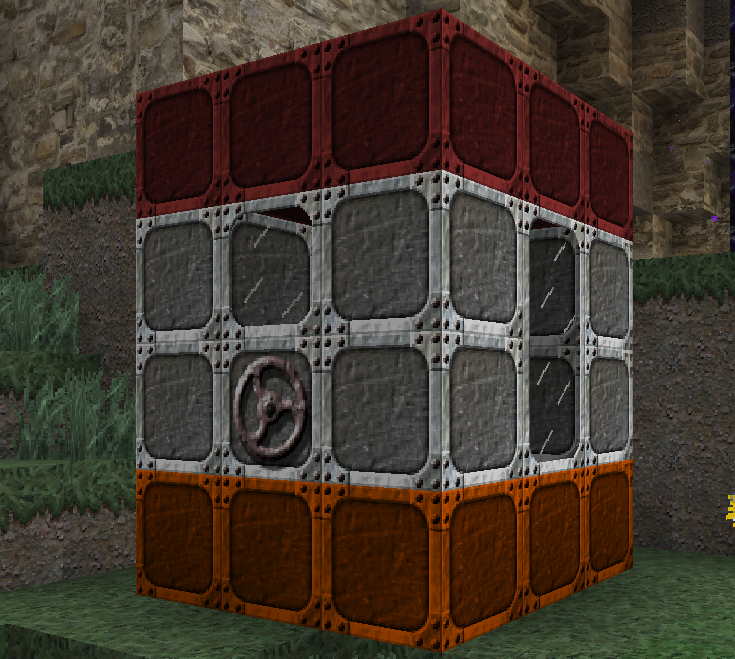 New textures for most of the ores. 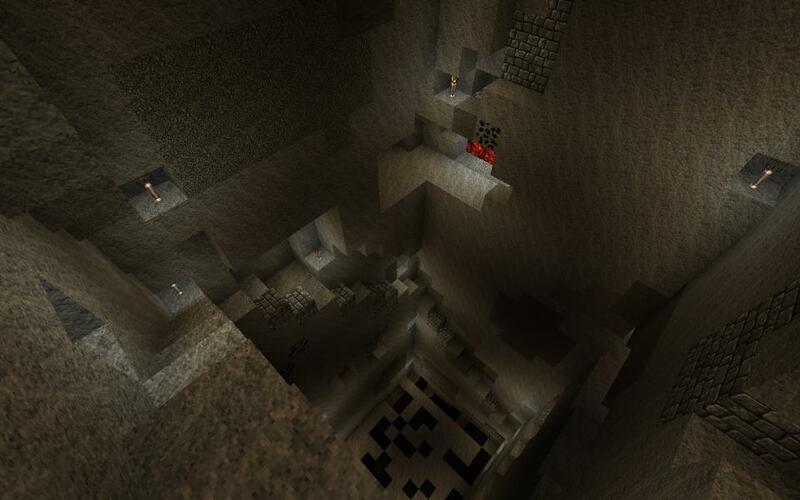 This has a big impact on the feel of MineCraft. Especially if you like swinging your pick in the bowels of the earth! 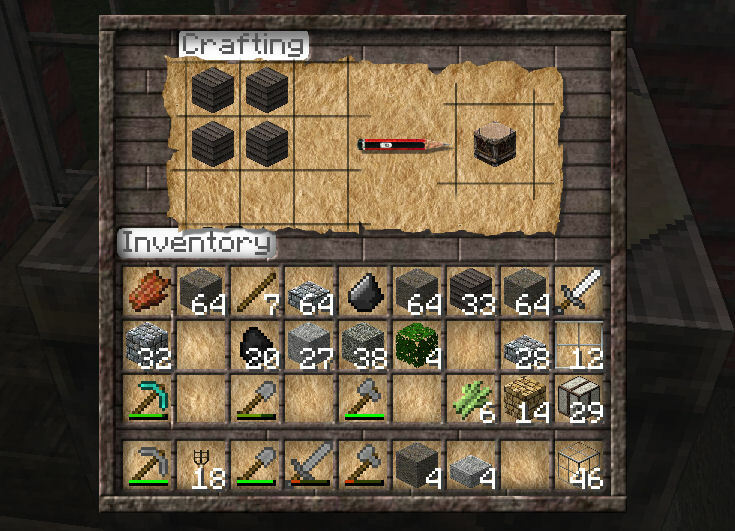 Only change is fixing the gui for the latest version of Crafting Table III. 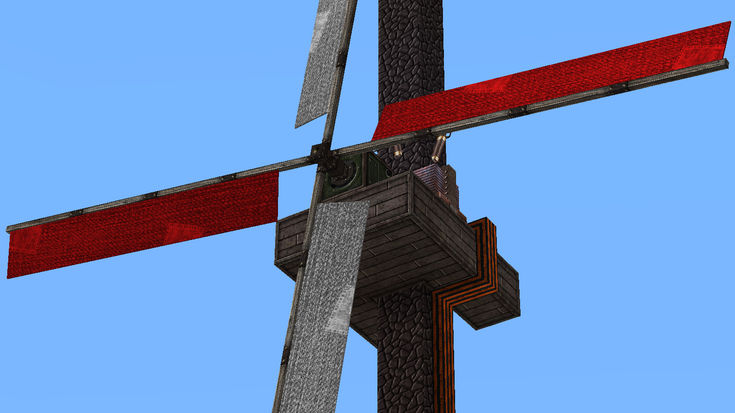 Quick update to fix the scale on the Redstone Repeater. 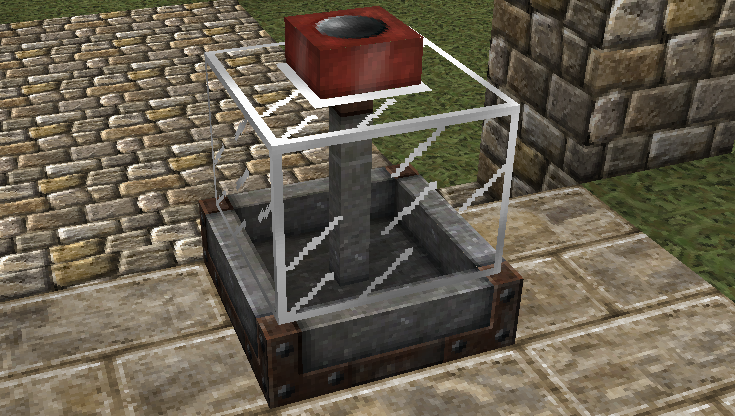 New Redstone Repeater texture. Now with matching sides, too. 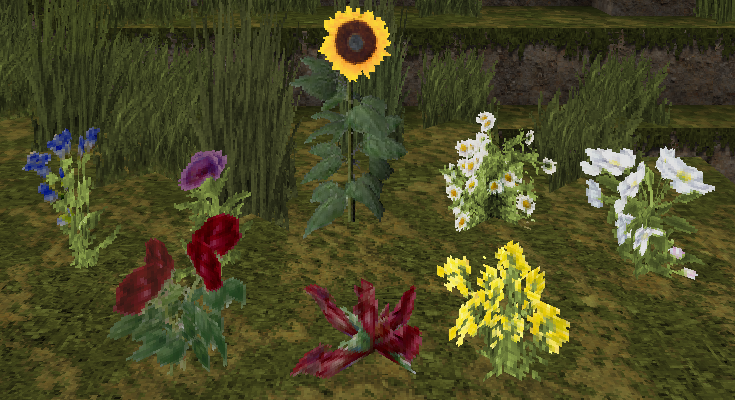 Added flowers, saplings, mushrooms, cobweb, dead tree, fern, and tall grass to the 32x version. Cracked Stone Bricks, Mossy Stone Bricks, New Mossy Cobblestone, Re-done Cobblestone. 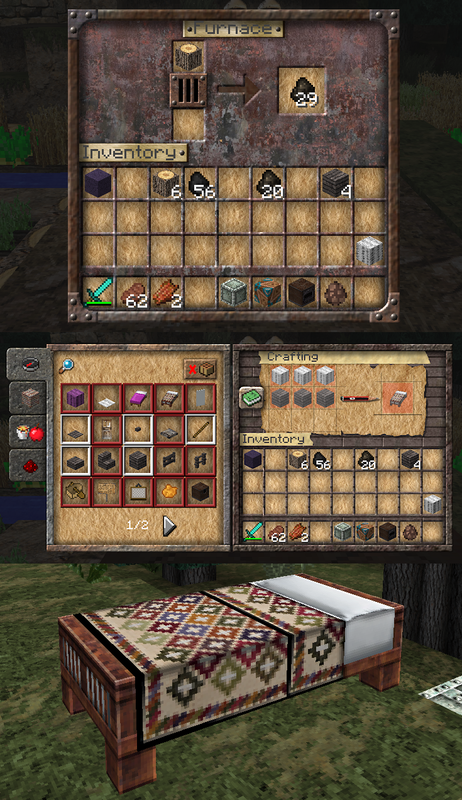 GUI textures for Chests, Crafting Table and Crafting Table III. 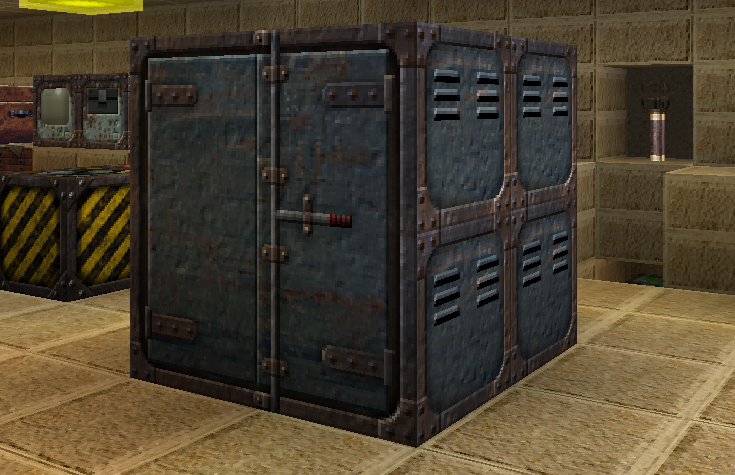 Changed the Wood pressure plate and fence textures. Tweaked connected bricks and birch planks (the red ones). 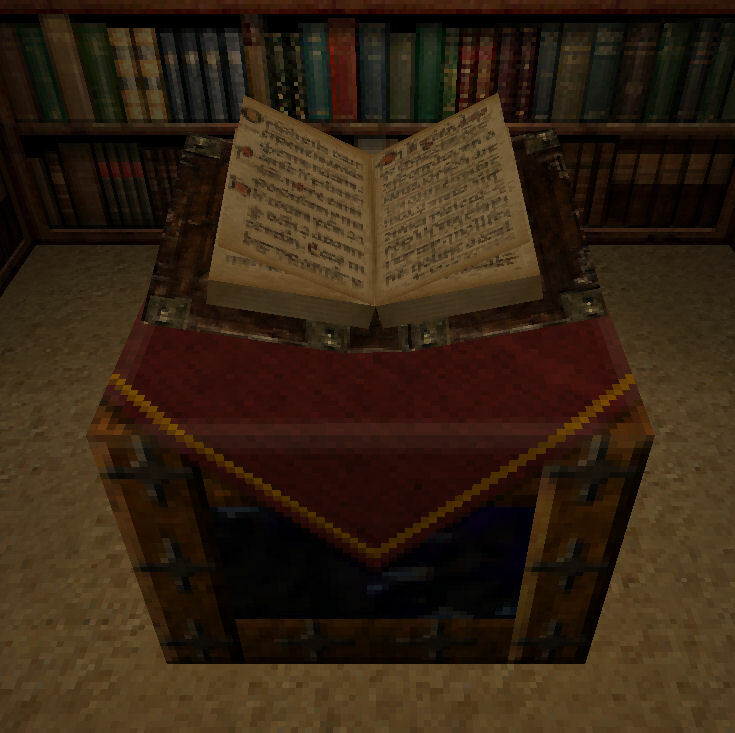 Added in the missing Connected Textures for the top and bottom of bookshelves. 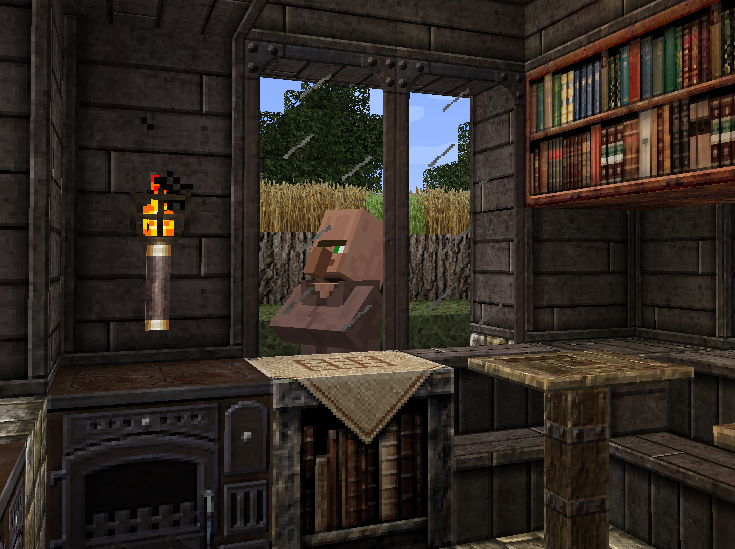 Fixed the Connected Textures for glass in the 32x version. Did a different bookshelf top with less pattern repeat. Click the Spoiler button for pic. Added a new top for bookshelves and a new wooden pressure plate texture. 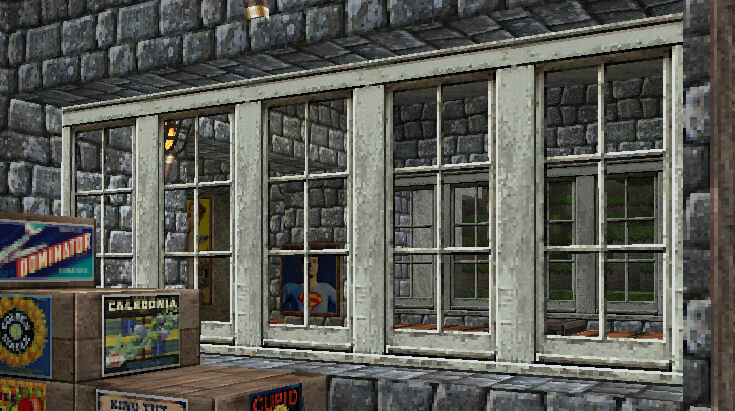 Added connected textures to the 32x version. 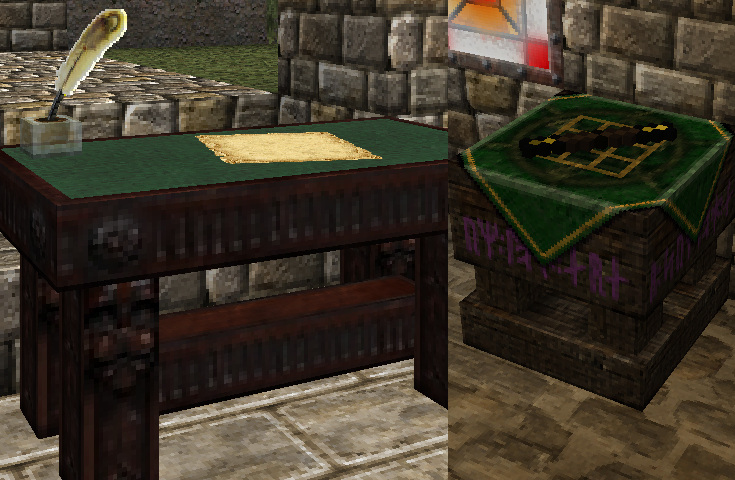 Added textures for Crafting Table II to the 32x version. Tweaked oak leaves (I know. It's exciting!). And a couple of small surprises. First 32x version. It only has the core MC stuff for now. Added a newer cobblestone texture! I need to do some more work on it, including the edges, but it looks more natural than the old one, I reckon. Click the Spoiler button for pics. New texture for RedPower Pump. 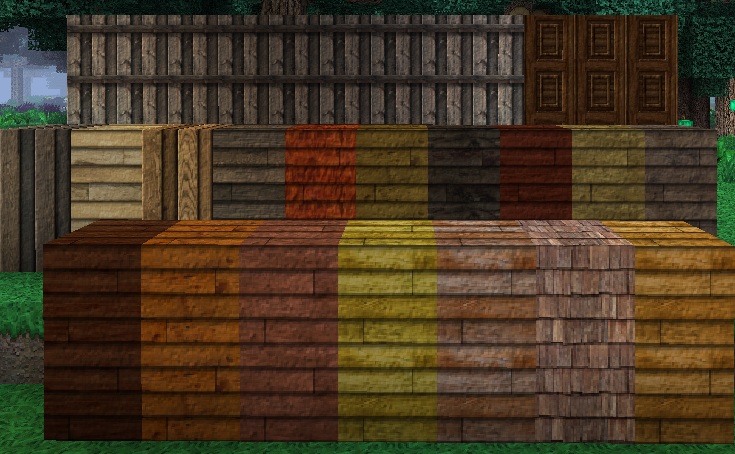 New texture for Cobblestone (revisiting an early idea). 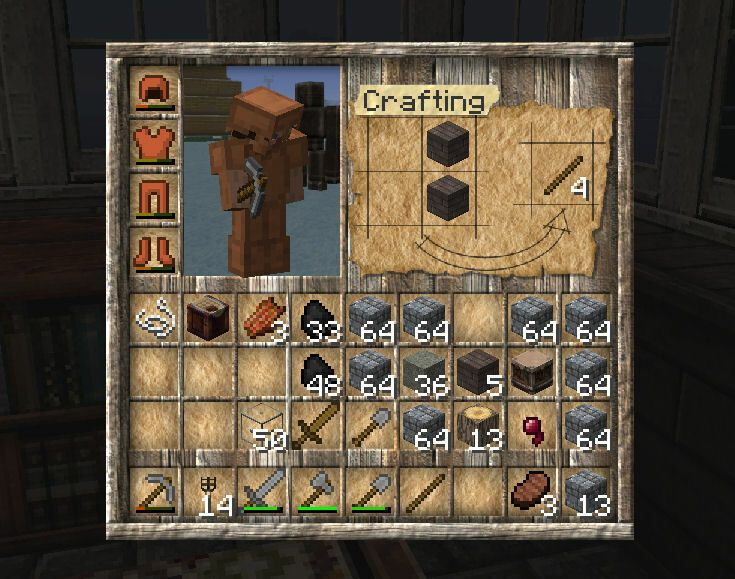 (4-Jun-11) I've added a craft table and a screenshot in this post. (4-Jun-11) And this post has a version with tools attached to the table. 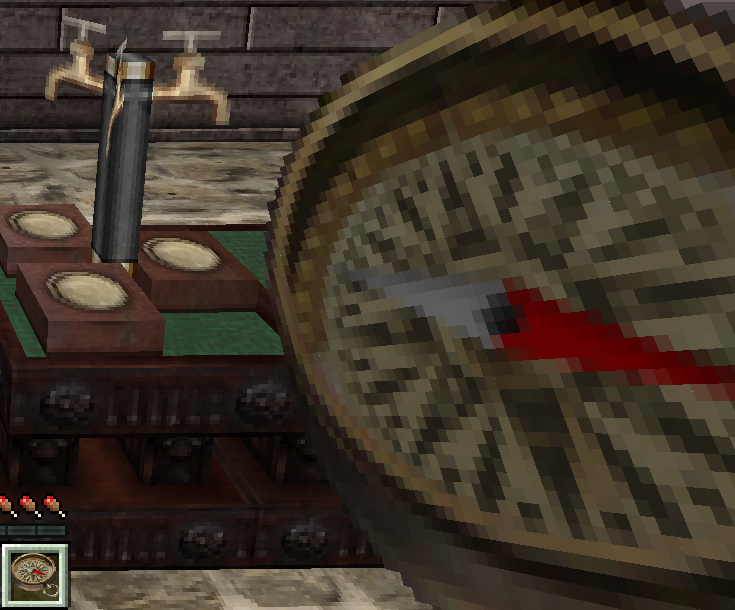 (4-Jun-11) The latest version in this post has rusty tools! (5-Jun-11) A slight aesthetic adjustment in this post. (5-Jun-11) Added a battered old door in this post. (6-Jun-11) A little bit more battered and cracked glass in this post. (6-Jun-11) Added a porthole window in this post. (6-Jun-11) Some aesthetic adjustments and a mistake fixed in this post. (7-Jun-11) Added a battered ugly green wooden window and a sand texture in this post. 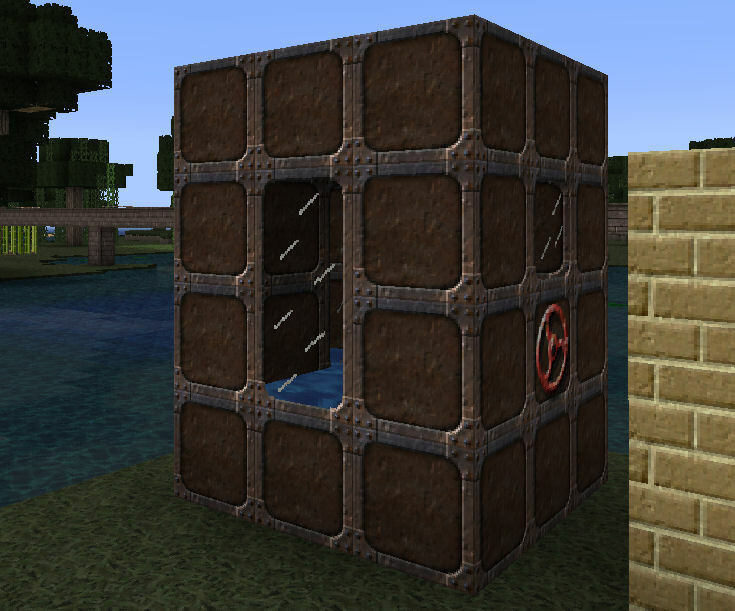 (7-Jun-11) New wood texture, porthole and small grungy window in this post. (7-Jun-11) Added a hideous blue and orange window in this post. 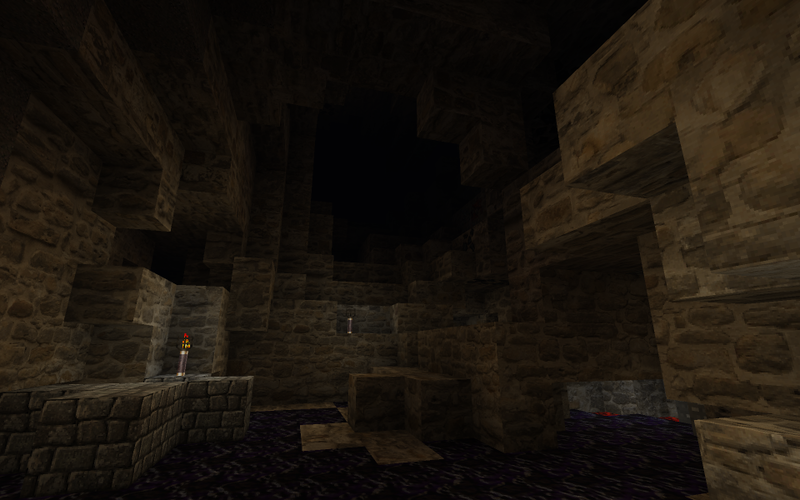 (8-Jun-11) Added a trapdoor in this post. (9-Jun-11) A slightly more interesting sand texture in this post. 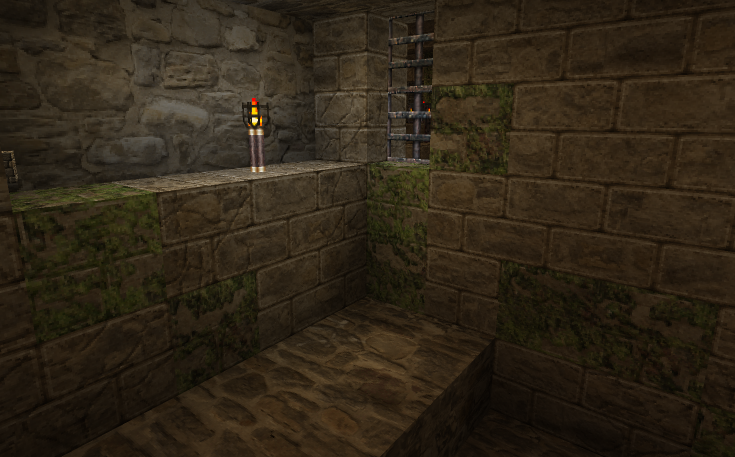 (9-Jun-11) Added a cobblestone and 3 stone textures in this post. (10-Jun-11) A less edgy cobblestone in this post. 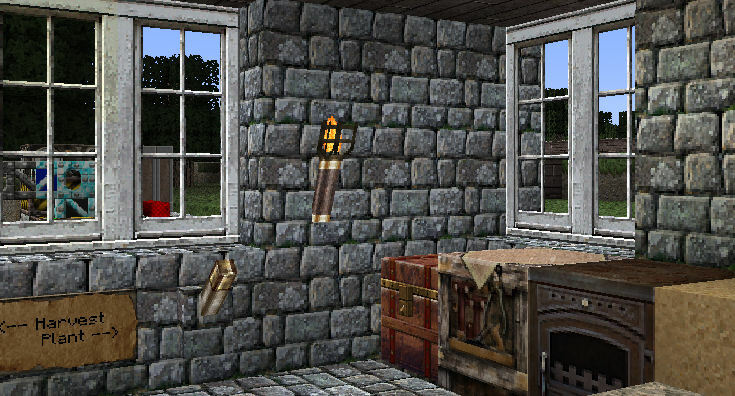 (11-Jun-11) Added a brass oil lamp (torch), a new stone texture, and a flame texture for particles.png in this post. (11-Jun-11) A slightly softer stone texture in this post. 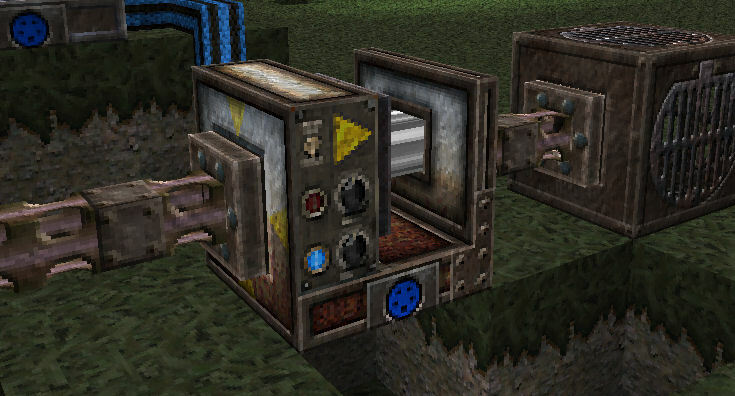 (11-Jun-11) Saw on craft table now has an upper support (this post). (11-Jun-11) Added an interrupted version of the planks in this post. (11-Jun-11) Added a sandstone texture in this post. (12-Jun-11) A less interrupted planks texture and a slightly less yellow sandstone in this post. 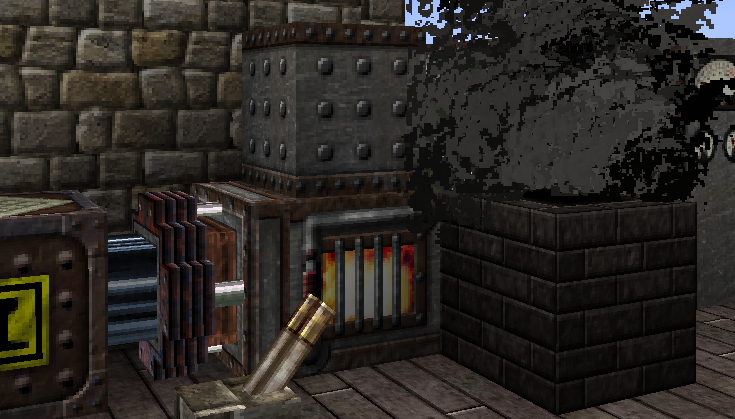 (14-Jun-11) Added a rusty old cast iron stove/furnace in this post. (14-Jun-11) Added a Ladder in this post. (14-Jun-11) Some wear on the ladder rungs, a better flame, and MultiGlass in action in this post. (14-Jun-11) Added an arched window in this post. 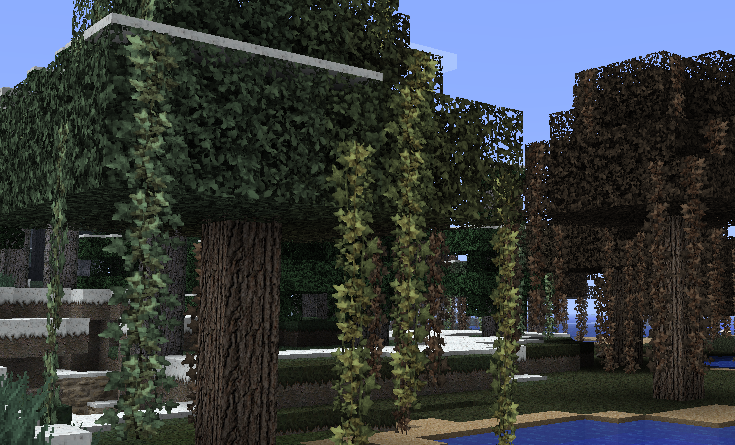 (16-Jun-11) Added wood (oak, pine/spruce, birch), dirt, grass, snow, and stone slab in this post. Also, changed the texture file layouts. (16-Jun-11) Fixed the sandstone slab. (17-Jun-11) Added bamboo/reeds in this post. Also, darker shadows on dirt sides. (18-Jun-11) Added more shadows for depth to the bamboo and birch textures in this post. And improved the flame a bit. (19-Jun-11) Added bricks in this post. (20-Jun-11) Some subtle brick tweaking in this post. A little lighter and a little less noisy. 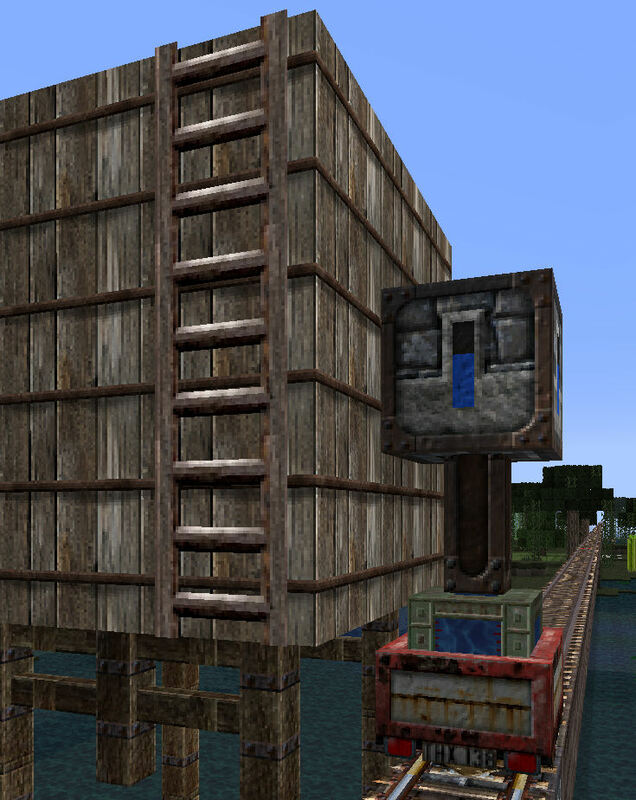 (26-Jun-11) Added a bed, some ore textures and ore blocks in this post. (28-Jun-11) Added a bookshelf, a cactus, some flowers, and mushrooms in this post. (28-Jun-11) Added TNT in this post. 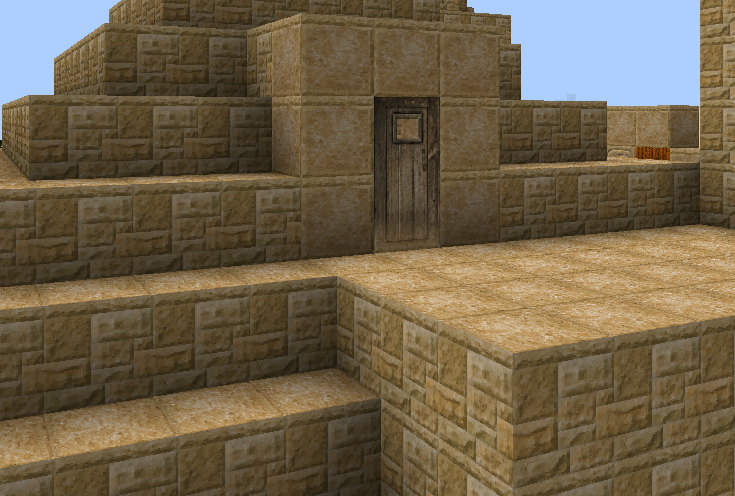 (30-Jun-11) Did a new cobblestone texture in this post. 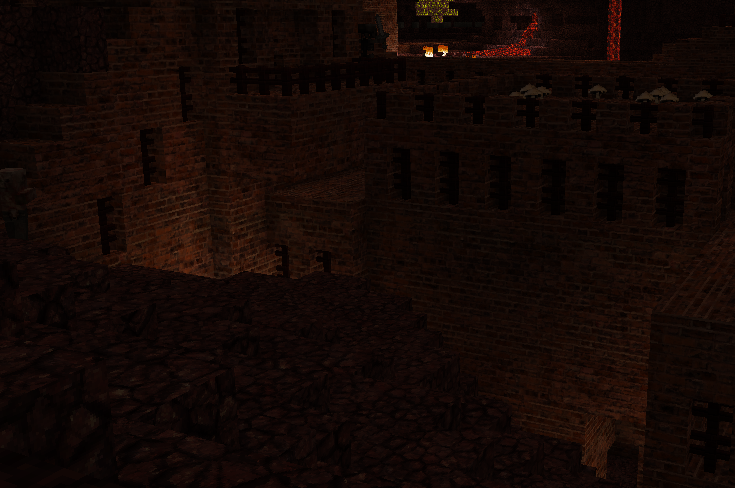 (1-Jul-11) Tweaked cobblestone to remove thin black line. Adjusted bed for MC 1.7. (2-Jul-11) Added a rough old rusty piston that's a little bit steampunk in this post. 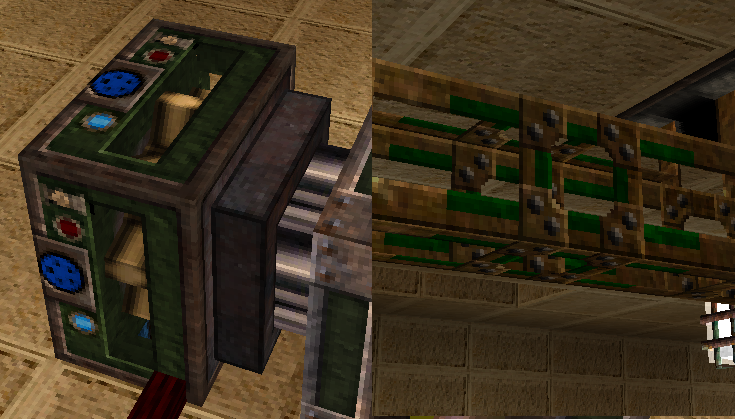 (5-Jul-11) In this post I added the door off my old beer fridge and an iron block to match the furnace/dispenser. Both in the alternates below. (6-Jul-11) Added new wood in this post. Also added alternate arched windows with cobble and brick backgrounds and an alternate porthole with the new wood planks background. (7-Jul-11) Added a Zenith jukebox in this post. (13-Jul-11) Added clay, lever and oak tree leaves in this post. 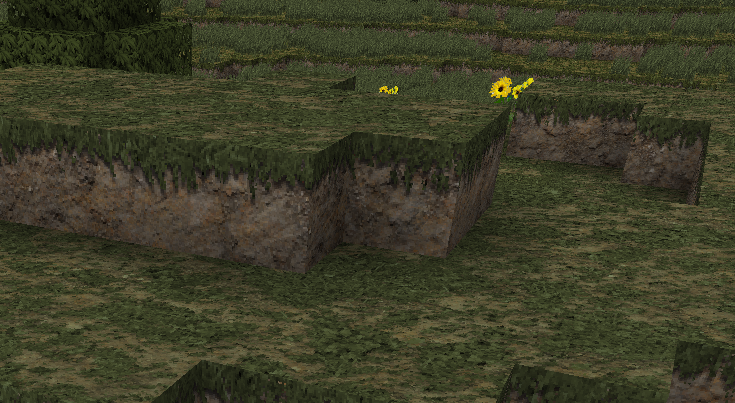 (21-Jul-11) New, improved dirt and tweaked grass in this post. 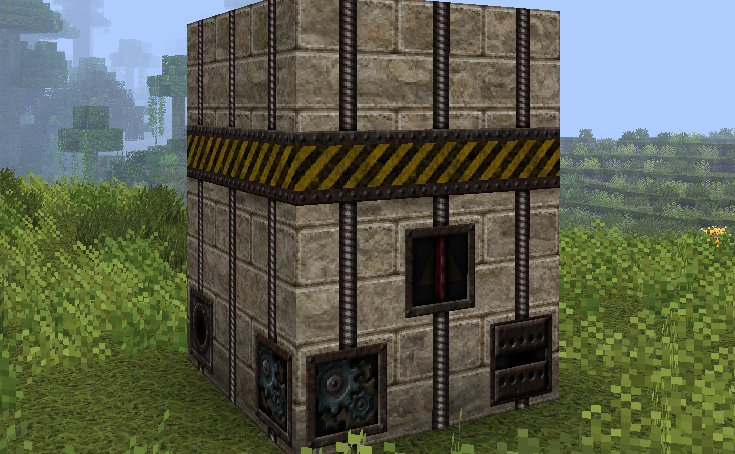 (17-Aug-11) New ore blocks, tweaked cobblestone with less blue and tweaked grass in this post. (9-Oct-11) Added some weeds in this post. (10-Oct-11) Mossy cobblestone in this post. (13-Oct-11) Added sponge, an oak sapling, a simpler window (see this post), and moved the arched window to alternates. 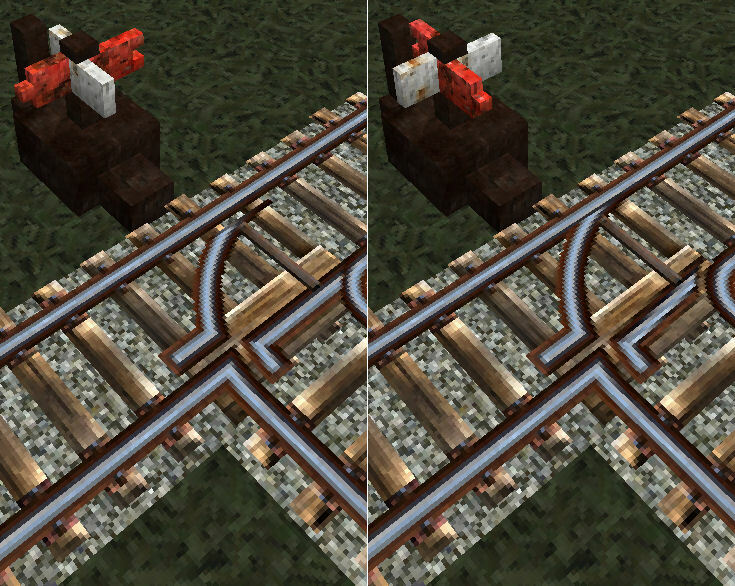 (10-Jan-12) Added rails (see this post). Tweaked the bookcase to match the old Zenith radio better. 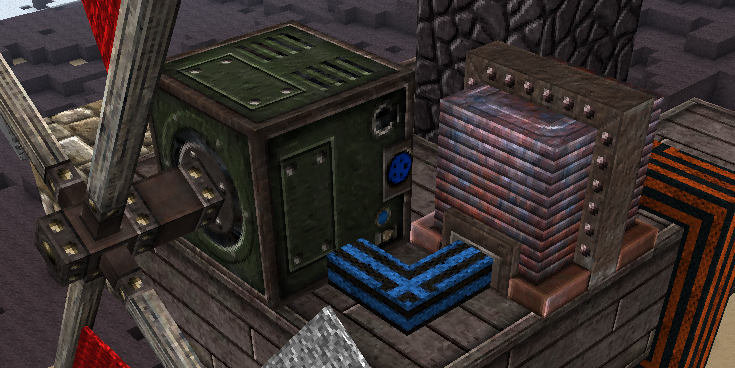 (12-Jan-12) Added textures for RedPower Wiring (screenshots here and here) and RedPower Core Alloy Furnace (screenshot here). 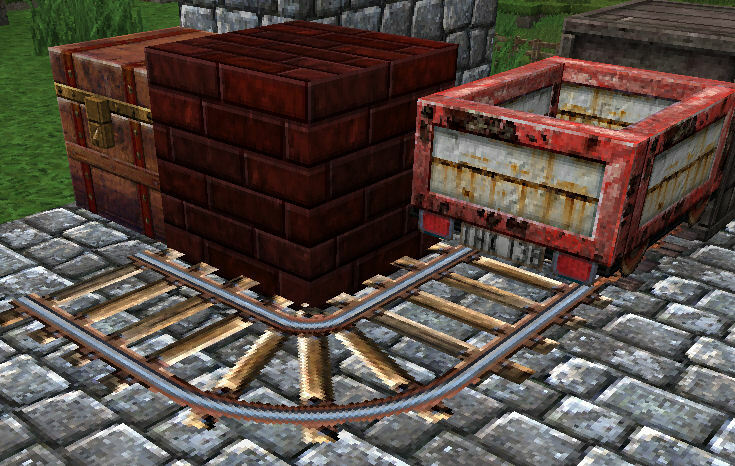 (13-Jan-12) Added a texture for the Minecart (screenshot here). (15-Jan-12) Added a battered old boat in this post. 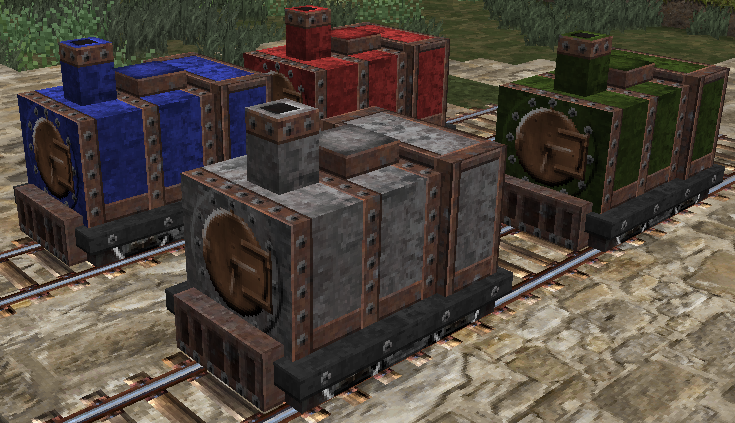 (16-Jan-12) Changed the minecart for a more battered look. Also, changed the wrapping on the RedPower wiring to rope. See here for screenshots. 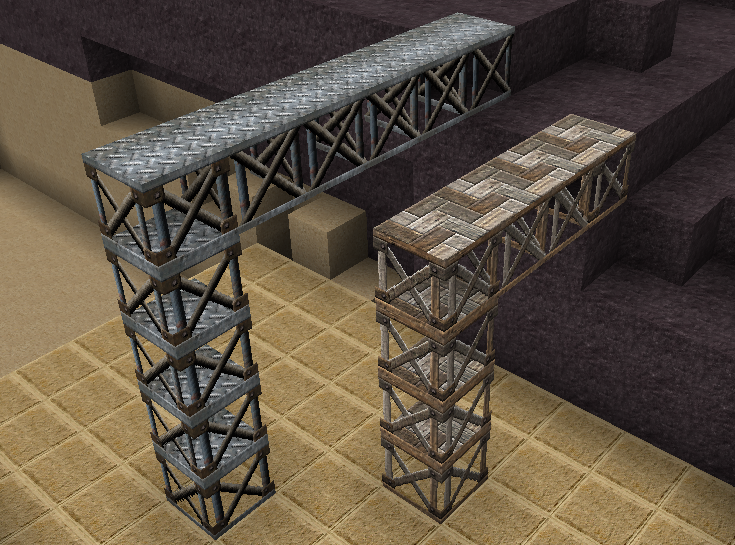 (17-Jan-12) Tweaked the minecart texture. A little less pink and a little more faded. Screenshot here. 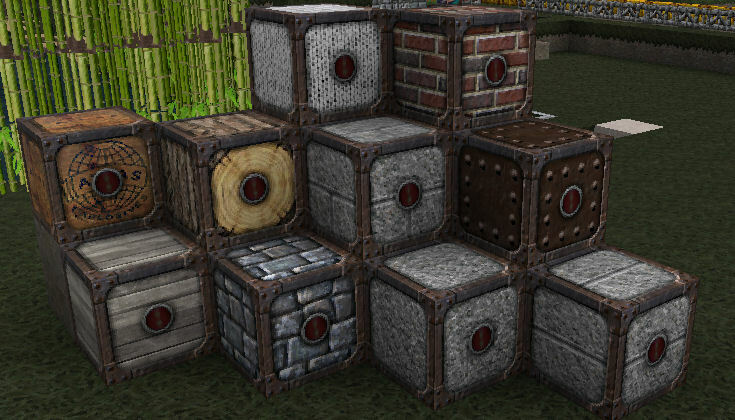 (19-Jan-12) Added textures for Buildcraft Pipes, Fillers, Miners, Tank and Pump. 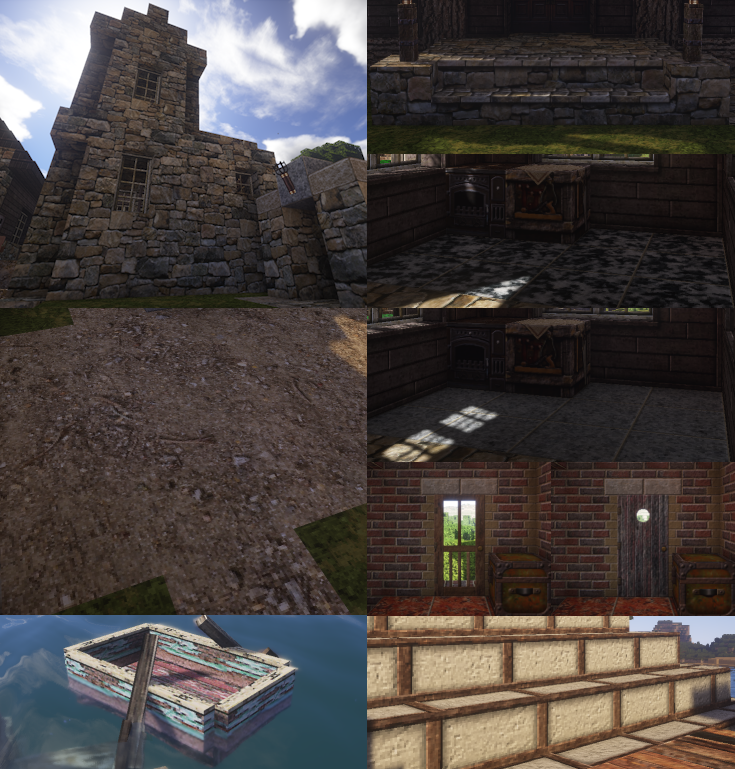 Screenshots of the mining well, pump and tank here. (19-Jan-12) Added a new version of the Buildcraft tank. (see it here). (20-Jan-12) Added a texture for water. 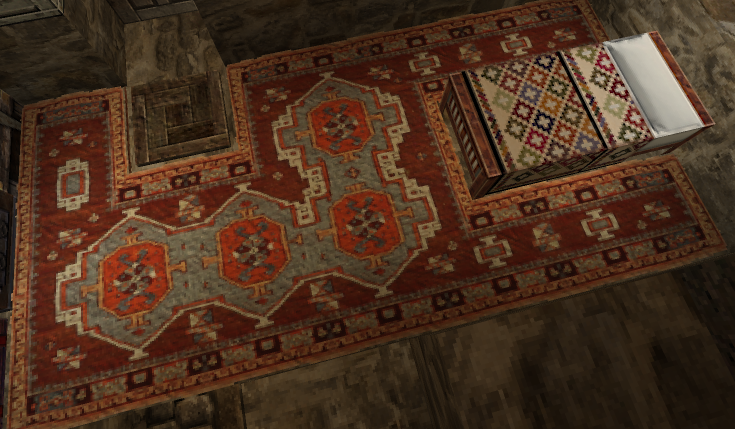 Added a Victorian floor tile texture to the light blue wool spot. Screenshots here. 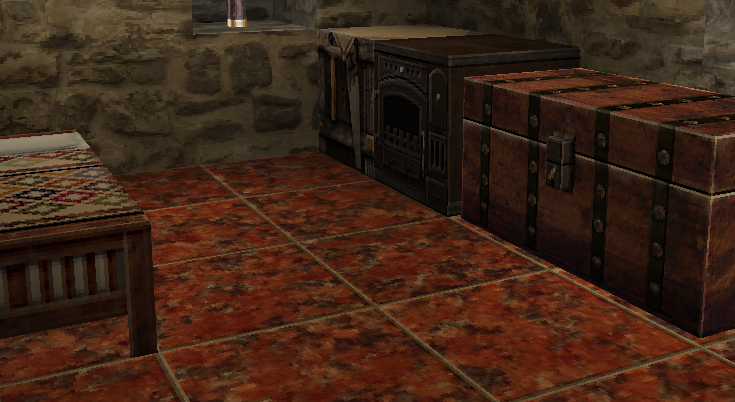 Moved the old fridge door from alternates to the iron door texture spot. Great for making a food dispenser (see here). 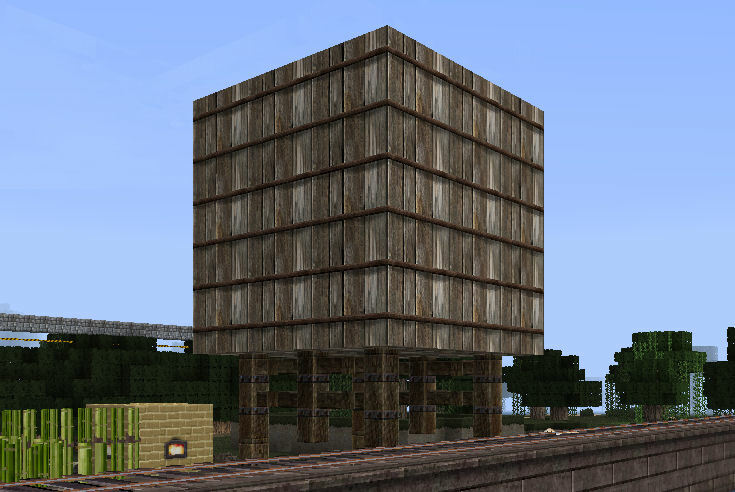 (20-Jan-12) I added iron bars a couple of days ago but never mentioned it. Screenshot here. 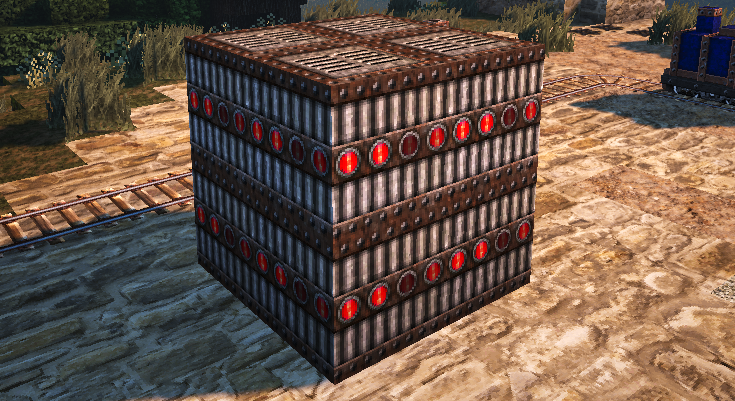 (26-Jan-12) Added a rusty monster spawner (screenshot here), RedPower Blutricity Furnace, Thermopile (screenshot here), Frames, Solar Panel and Tubes. And I made a banner! (29-Jan-12) Added a Jarrahdale pumpkin (screenshot) and Mycelium (mushroom roots/soil) (screenshot). (2-Feb-12) Added ice (screenshot) and giant mushrooms (screenshot). 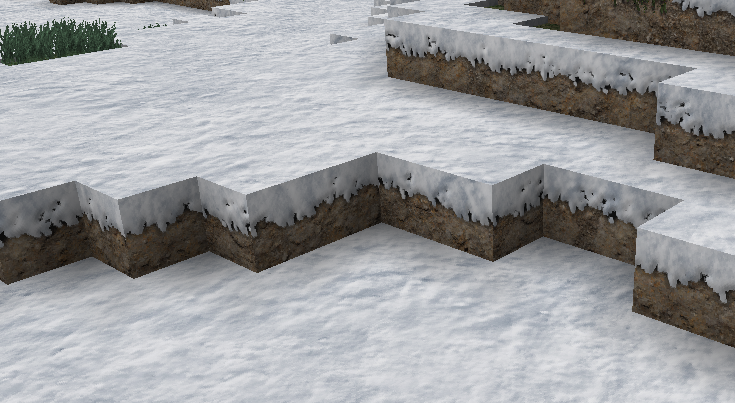 (3-Feb-12) Added tree sapling textures (pic here). 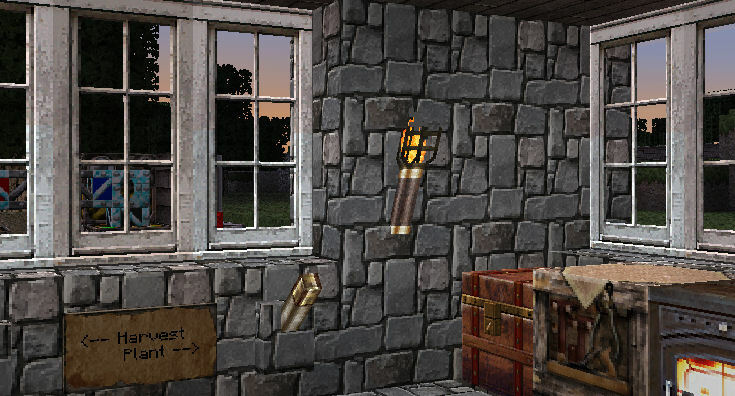 (7-Feb-12) Added redstone torches (screenshot) and redstone repeater (screenshot). 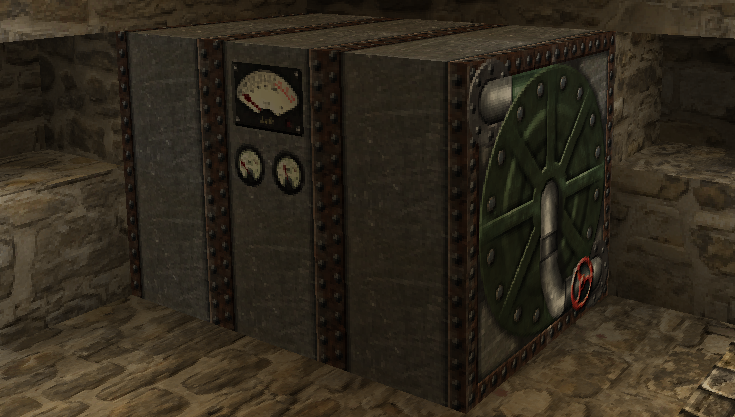 (8-Feb-12) Added the complete RedPower Logic textures in bakelite and brass (screenshot). 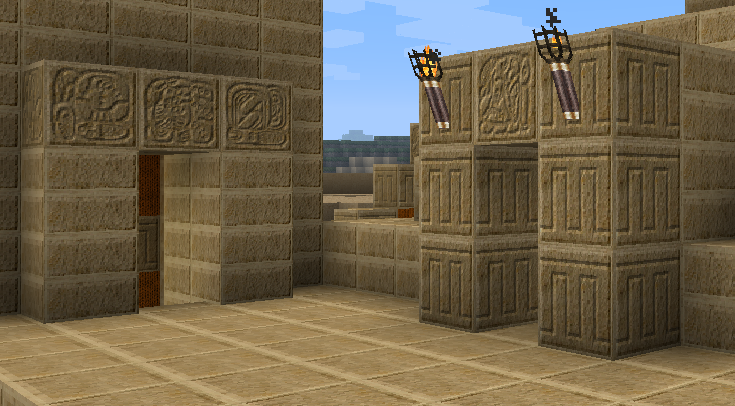 Also tweaked the redstone torch (screenshot). 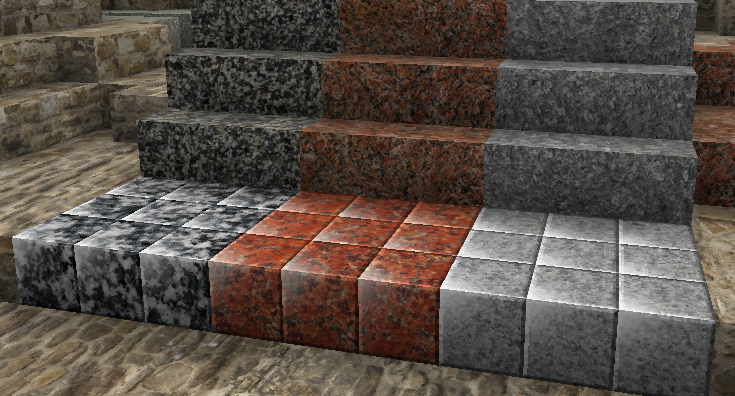 (10-Feb-12) Added textures for RedPower World marble and basalt (screenshot). 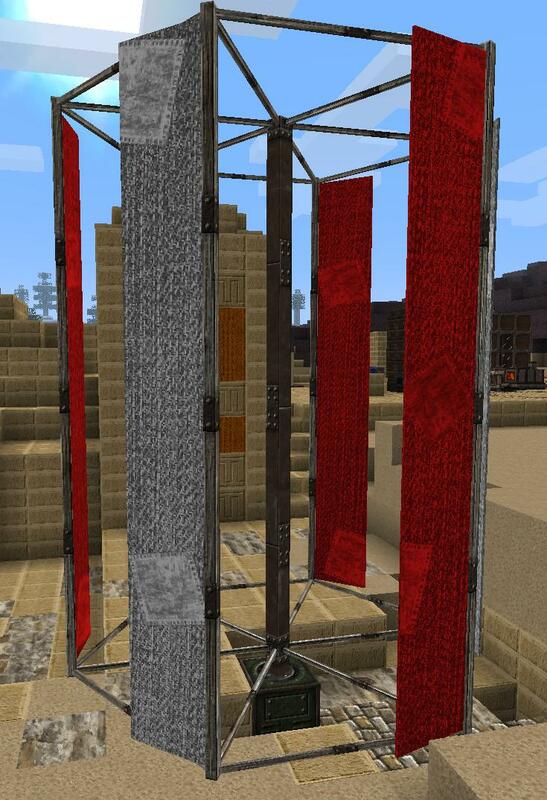 (12-Feb-12) Added Redstone (wires) made from heavy rope impregnated with Redstone (screenshot). Added a new version of the normal Torch (screenshot) (still need a little work!). Added RedPower Battery Box (screenshot). 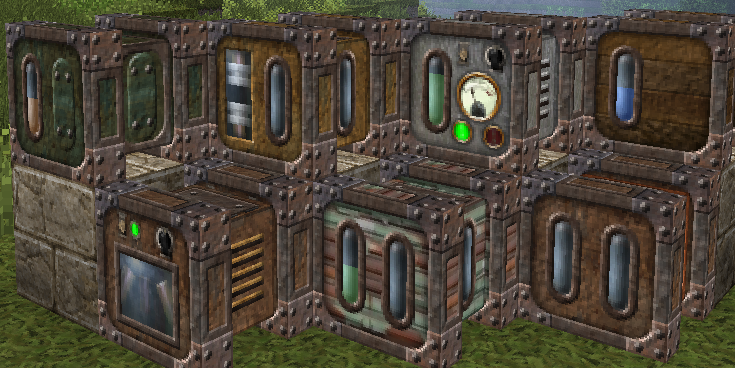 Tweaked the normal Furnace, RedPower Alloy Furnace, Blulectric Furnace, and Solar Panels. (14-Feb-12) New RedPower Thermopile that looks like it get submerged in water and lava. New top for the RedPower Solar Panel. New torch coz I never really liked the old one. Screenshots here. 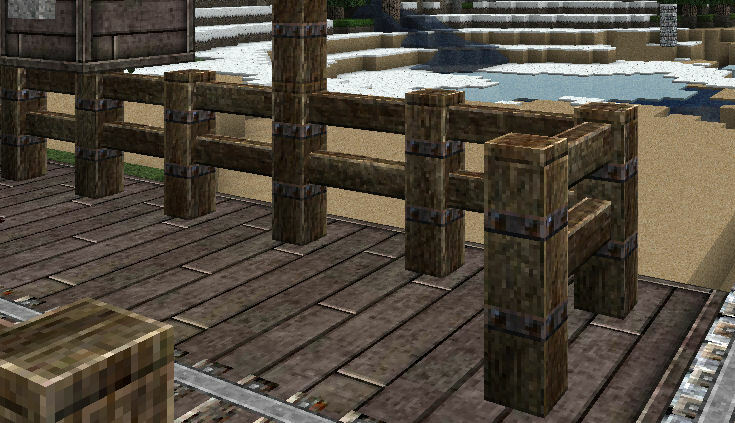 (16-Feb-12) Added textures for the RedPower Project Table. New twisted RedPower Red Alloy Wire. Many tweaks to the RedPower Solar Panel. 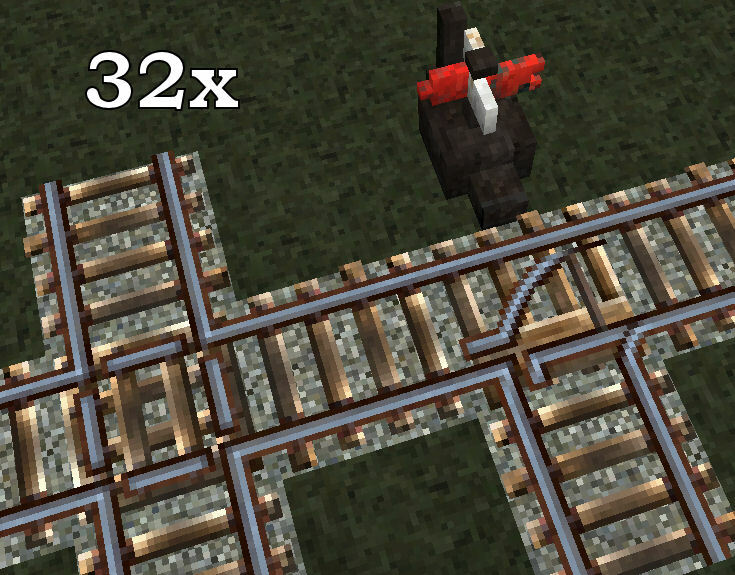 Added the grey metal minecart to the alternates directory. Screenshots here. 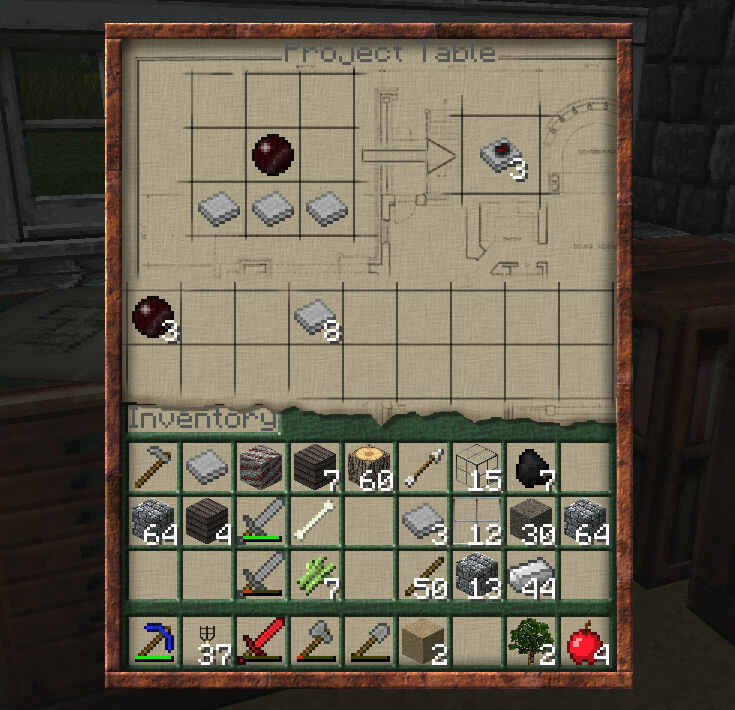 (23-Feb-12) Added textures for the Crafting Table II mod (screenshot). New top and sides for the RedPower Project Table and modified textures for the RedPower coloured bundled wiring (screenshot). 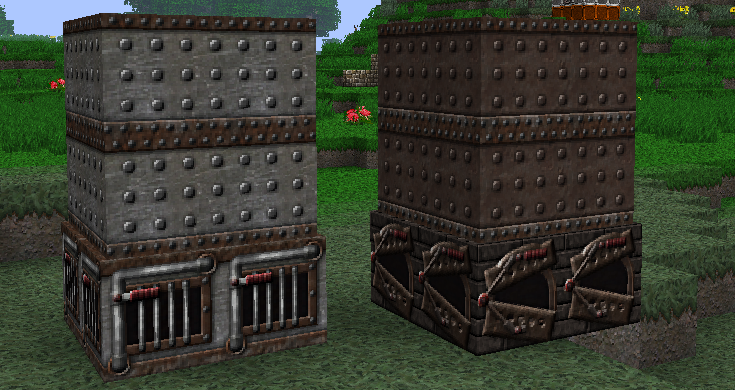 Addedd a texture for the BuildCraft Mechanical Engine and improved trunk and chamber textures for the engines (screenshot). 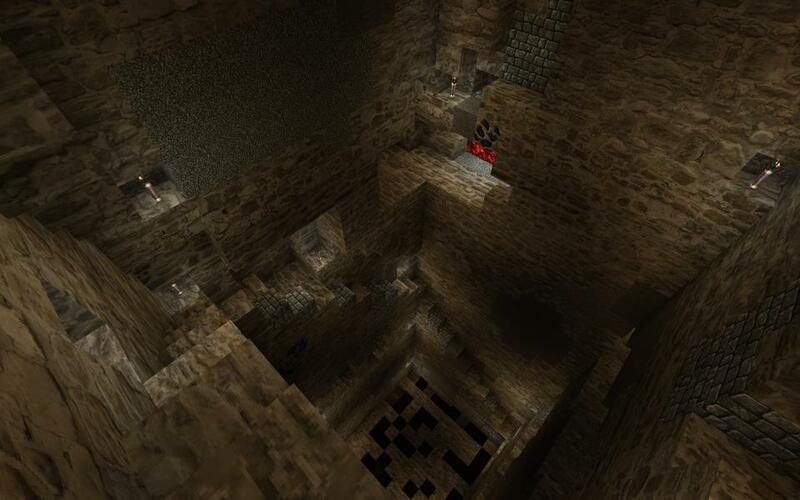 (18-Mar-12) Updated to support Minecraft 1.2.3 and RedPower 2 Prerelease 4e. (27-Apr-12) Added complete textures for RedPower 2 pr5 Logic. Screenshots here and here. (2-May-12) Feel the TERROR as Gort's eye opens! Use these links (64x, 32x) if you have problems. 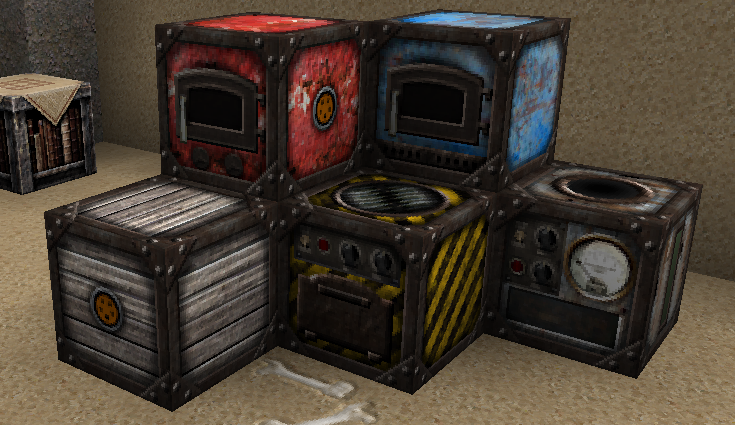 JennyLeeP is making some excellent textures in the Battered Old Stuff style for mods I haven't done yet. Wireless Redstone Chicken Bones edition, Buildcraft Logistics Pipes, Additional Buildcraft Objects, Additional Pipes, and Sneaky Pipes. Check them out here. Go to the Signature section of your Profile Settings. Then, in the Edit Signature box, click the [BB] icon to toggle the editing markup mode. That's awesome! 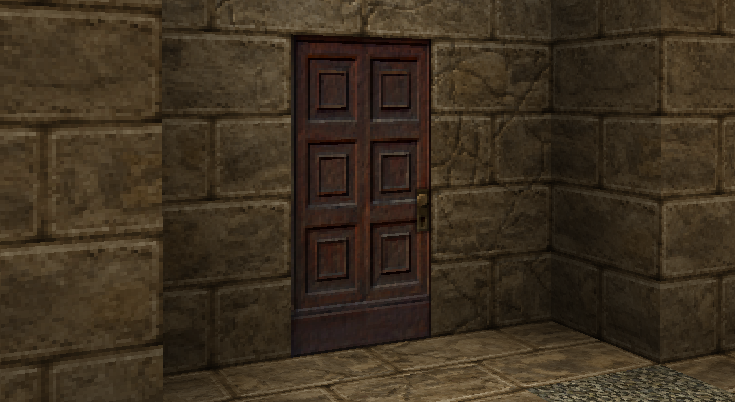 You should pm it to the people who make x64 textures. You should really make a piratestyled pack or something, thats really good work. I don't have any plans to make a complete set, but I've added a craft table to go with the chest. 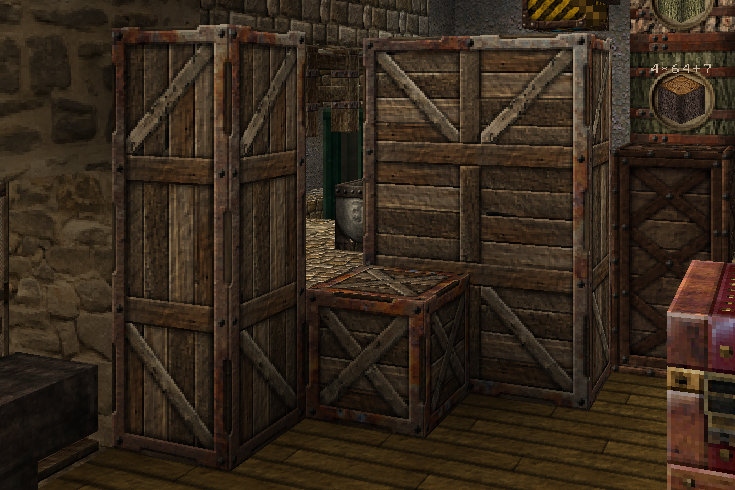 Have you thought about adding tools like hammers and saws onto the side of that crafting table? Yep. But I haven't got a good result, yet. you could add a little pocket with rum in it or something. I like that idea, it made me laugh. Here's a version with tools. How's it look? you should make the tools a bit rusty, and uneven! Best chests I've seen yet. Excellent! Here you go guys. Some rusty tools for you. That's high praise coming from you. Your Steampunk pack is awesome and one of my all time favorites! Oh my, that looks really good. I'd love a complete texture pack with a theme like this. Praise honestly given, ozBillo. I love the attention to detail, especially the worn edges around the lips of the opening. Ha ha! We obviously like the same old fashioned worn stuff. Full of character! Beautiful, good job with it. Seriously, MAKE THE DAMN PACK. That is incredible! I agree with everyone that you should make a pirate styled texture pack. I LOVE YOU!!! i hope you dont mind, but i have this texture pack called miny HD and i NEEDED some chests+ crafting tables and you are my answer!!! thank you and i will give you full credit!